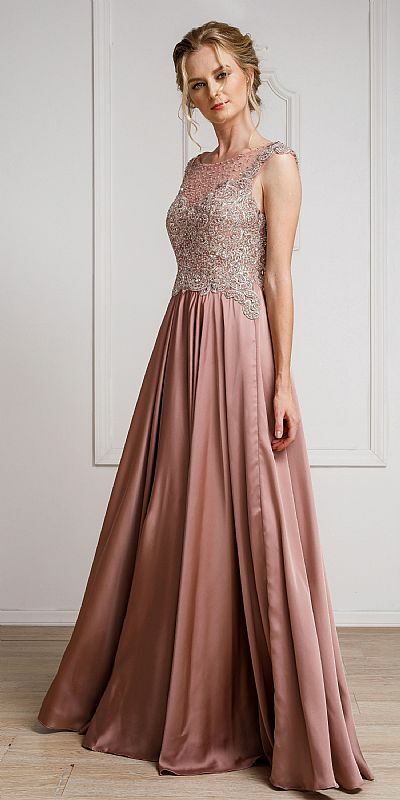 Embellished Sheer Bodice Poly Satin Long Prom Dress. Boat neckline sheer mesh bodice has an alluring pattern in sequins, beads & lace. Pleated poly satin floor length skirt adds glamour to this formal prom pageant dress. Sheer mesh back with sequins & zipper closure too. Imported.